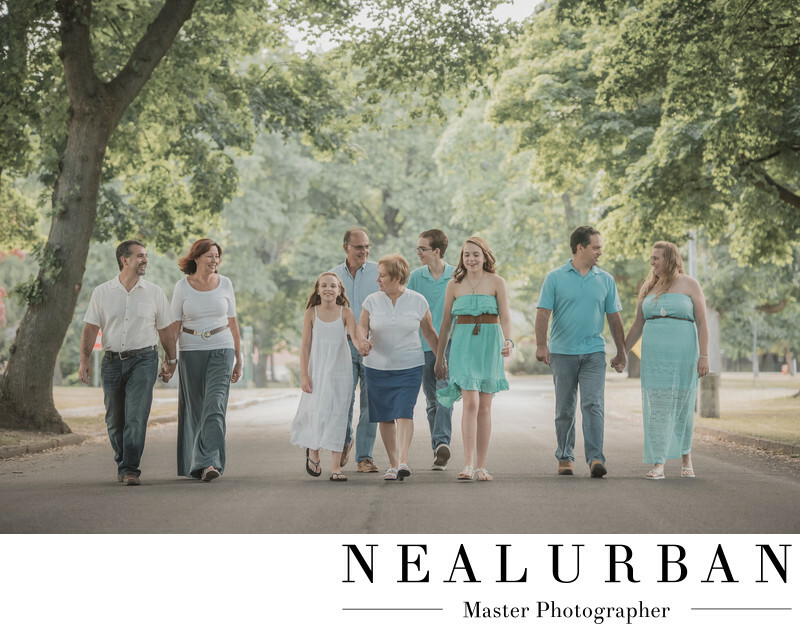 Family portrait sessions at Fort Niagara State Park are always fun! We love to do these sessions at this location! For this session, we had the whole family present. Grandparents, parents, brothers, sisters, kids, grandkids, We did large group photos first, then broke down the family for more portraits. This image was really fun to do! We love to do action shots with large groups. We have them walk casually to the camera. Pretty simple! We always seems to get some great reactions. There is no posing or planning for this either. We told them to talk to each other and look all around. You do not have to look at the camera. The colors for this image were so pretty too! Once the family knew the location, they started to plan outfits! We loved the different shades of blue, green, and teals they chose! It was great for summer! We had a nice overcast day for photos. We still got enough light to do this shoot using natural light. We love when we can do that! We love to take images at Fort Niagara. We know a lot of areas to photograph that are not usually busy. And there are not normally other photo shoots going on at the same time either. Maybe on a wedding day at the Old Fort, we can run into another wedding, but not likely!